If you have recently become proud owner of a new car then the thought of taking it for servicing might not be on your priority list. It's, of course, easy to believe that the hassle of having the car serviced periodically is reserved for owners of used and older cars. 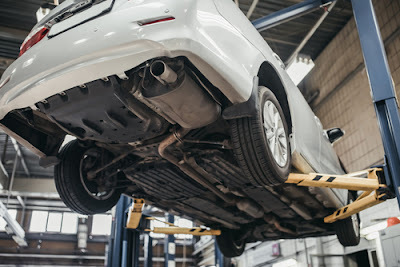 Nevertheless, as you would learn in this article, new car owners should be both punctual and vigilant when it comes to servicing. Typically, you car dealership as well as the manufacturer would advise you about servicing schedules. Most new car buyers are advised to bring their cars for servicing after 12 months or after their car has clocked the prescribed mileage, whichever is earlier. The thing about new cars is that its components such as engine parts etc take a while before they operate optimally. A new car that is not used gently in its initial days tends to lose quite a lot of tiny metal particles from engine and gearbox parts. Without servicing on time, these tiny metal particles in your new car can lead to abrasion and long term damage that would me much costlier to repair. This fact makes it doubly important that new car owners are not callous when it comes to appointment for car servicing. Additionally, it is important that as an owner of a new car, you stay vigilant about the performance of your car and lookout for warning signs instead of simply waiting for next scheduled servicing. Let us, then, take a detailed look at these warning signs and how you can spot them. Excess smoke from the exhaust is usually accompanied with a burning smell. On winter days, the exhaust might expel a white plume but that is vapor and it goes away soon, and should not cause any alarm. However, if the excess smoke persist during driving then you should investigate further. Presence of a black tar like material near the bumper close to exhaust pipe means that you should promptly take your car for an inspection. Smoke billowing from under the hood is a sure shot indicator of an over heating problem. Left ignored, this problem can cause costly long term damage to your engine so it should be looked into immediately. If you encounter this problem while driving then you should pull over immediately and get in touch with your mechanic. As the owner of a new car, you should pay extra attention when it comes to the vehicle's everyday performance. if you notice any variance from the normal in getting your car to accelerate or experience tumultuous surge or even strange whirring noises, it should alert you to possible transmission related problems. It would be a good idea to fix an appointment with your car serviceman at the earliest. Car leaks are always a good indicator that your car is not running at its optimal level and should be taken for a check up at the earliest. 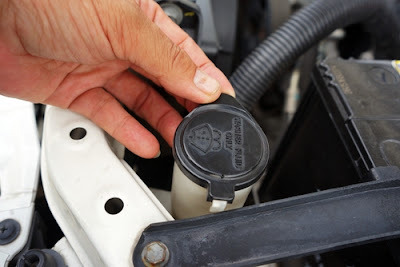 Car leakages are also easy to spot. Typically, you should look for a bright green or a dark red colored residue on the ground under the front part of the car. Such residue means that your coolant, brake fluid, or engine oil are leaking, and require urgent service. However, it's normal to have wet spots under the car during summer months as they are caused by air conditioners. Having driven your new car for some time, you would gradually become familiar with its sound and notes during braking, acceleration etc. However, if you come to hear any unusual noise then it's best not to ignore it. In particular, a clunky sort of noise during driving may indicate a problem with the wheel bearings of your car. Similarly, a high pitched squealing or even grinding sound may point to malfunctioning brakes. 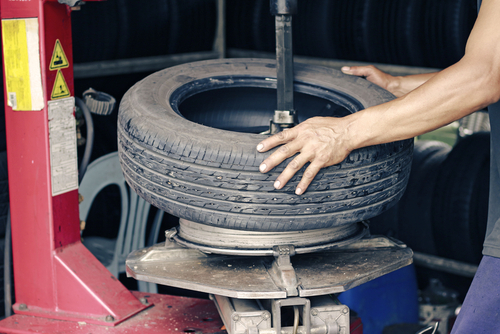 In such cases, it's best to take precaution and have your car thoroughly checked by a mechanic. The most important indicator of a problem with your engine health is the indicator on your car's dash board. The car has a computer that constantly monitors the health of your engine and whether it is working optimally. An illuminated indicator suggests that although there is cause for immediate concern, it is wise to have your engine checked at a qualified car servicing shop. However, a flashing indicator would suggest an urgent check up by a mechanic. Aside from the indicator, if you experience your engine chugging and shaking then it's time for a visit to the service center. Experiencing vibrations during a drive can have many causes. It may be caused by something innocuous such as uneven road surface or plastic paneling that has come off. However, there are other reasons such as unbalanced tires or loose bearings for vibrations that would require you to have the car looked at by your servicing mechanic. Aside from the above, there are few other warning signs that you should keep vigilant about. For example, stalled progress when you pull the car off often indicates a broken spark plug or jammed filters. Having to turn the key multiple times during ignition could suggest a faulty starter motor. If you hear an unusual grinding noise during shifting of gears then it should alert you about potential problems with the gearbox. By now, you should have a good idea that good maintenance and vigilance is your only guarantee against costly and crippling car damage. Further, as we noted above, it is important that you diligently follow the manufacturer's guidelines when it comes to servicing schedule for your car. However, you have to take care and stay vigilant about any of the warning signs mentioned above. Should you happen to encounter any of those problems, you should not wait for the scheduled servicing appointment but immediately have your car checked up. You should always remember that servicing a new car, even if your vehicle is running without a problem, can save you lots of money and unnecessary troubles in the long term. Qualified mechanics are able to spot potential damages and suspect parts before they can inflict a heavy damage. Happy driving!